Feel free to rename the topic or merge it with other active threads. I notice that members total posts are not shown in the pop up profile when having the mouse on their usernames in both posts and in the online line in the bottom. There is also a minor request to change the text colour for registered members from red to to let say yellow or perhaps to something that fits the mobile theme a little better than yellow. I've disable both NoScript and AdBlock so I don't know what's wrong. Can you get a screenshot? As for the color change, we know it's a bit hard to read. Yeah, we'll be offering some skin alternatives as soon as we can. We have a lot of set-up work to do first. I doesn't need a picture since I know why I can't see members total posts, because it seems to me that registered members cannot read team members posts. Scratch that... I began to mixed up things. The posts are showing. @Anda: I was not asking for more themes it was just for changing the members colour from red to something else. I kinda mixed up all the red colours in the bottom. I'd prefer to do as new themes so that people have the choice. It also helps to keep the Blood theme (that's what the red one is called) unaltered to make upgrading easier. 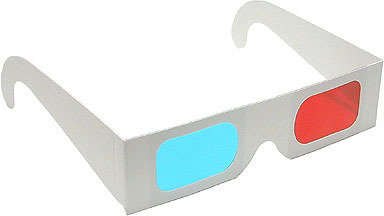 Oh well perhaps I need to look around for those 3D glasses I got when I watched the latest Star Trek moive. Probably need to do something to mask the background image when looking at the "new contents" listing for the forum. It's hard to read the red titles on a red background. Ok, thanks for the feedback. Btw, this forum skin has a background switcher. It's the paint bucket in the upper right corner. You might find one of the other backgrounds works better with the current link colour. Please feel free to provide us with feedback guys, it will help when I sit down to fix the skins. I just tried them but there is no much difference between them a least I can't notice any difference. Anyway they make the red text colour a little easier to read not much but better than nothing. I'm confused, where is this red writing on a red background? All the red writing I'm seeing is against a black background so it's very easy to read. It's in the "View New Content" page. Ah I see now. I never knew there was a "View New Content" page before, that's what looking at the main forum page shows me anyway. This and a few other things have been fixed. I made some adjustments to the base Blood skin. Once I get a few other things off my to-do list, I will create a new skin with more dramatic changes. The link colours will be changed, for example. You're right, it does! No idea why... Something else to add to the scroll, as shadeMe likes to say. How do you make it not fixed? I'll get you the styles in the morning. I already turned my computer off and my brain will be following shortly. Send me the styles and I will make the changes to the skin. They're in the first post of my thread. :DI've commented out the more subjective changes (and some were just things I was tinkering with just out of interest (like the background and border changes)).